The GZA advisory board works with the GZA board of directors to set policy for advocacy and education. Naomi Tsur is the former deputy mayor of Jerusalem, where she headed the city’s environment, urban-planning and historic-conservation committees. She has made significant contributions to Jerusalem’s environment by developing a circuit of city bike paths, limiting private-car use in the Old City and initiating a dialogue with Palestinians about how best to handle waste. This past Tu B’Shvat, her efforts led to an additional 10,000 tress being planted in Jerusalem. Before joining city government, Naomi directed the Jerusalem branch of the Society for the Protection of Nature in Israel, and gained approval for the preservation of Gazelle Valley, the first urban nature park in Israel. She also founded the Sustainable Jerusalem Coalition, which successfully campaigned to protect the Jerusalem Hills. Naomi speaks about Israel’s environment around the world, and frequently serves as a representative at worldwide conferences, including the World Summit on Sustainable Development (Johannesburg, 2002), the International Healthy City Conference (Belfast, 2003), the International Council for Local Environmental Initiatives (Capetown, 2006), the United Nations Convention on Biological Diversity (Nagoya, 2010), the International Council for Local Environmental Initiatives (Belo Horizonte, Brazil, 2012) and Rio+20: United Nations Conference on Sustainable Development (Rio de Janeiro, 2012). Dr. Eilon Schwartz is the founding director of Shaharit, an Israeli sustainability think tank. He is also the founder and former executive director of the Heschel Center for Environmental Learning and Leadership, which is dedicated to building a sustainable future for Israel rooted in environmental health and social justice. Eilon is a faculty member of the Melton Centre for Jewish Education at the Hebrew University of Jerusalem, where he teaches advanced-degree courses in Jewish environmental education, the interrelationship between Zionism and the environment, and environmental-policy ethics. Eilon is on the board of directors of Green Course, the Israeli students' environmental organization. He has published both academic and popular articles and lectures widely on the Israeli environment. Eilon previously served as one of the GZA representatives on the board of directors of Keren Kayemet L'Yisrael / Jewish National Fund (KKL-JNF). Eilon is also a co-founder of the Green Zionist Alliance. Dr. Daniel Orenstein is a senior lecturer in the Faculty of Architecture and Urban Planning at the Technion Israel Institute of Technology. 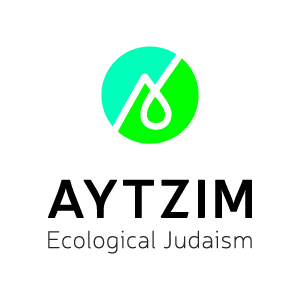 A former faculty member at the Arava Institute for Environmental Studies, he also has taught at the WUJS Institute and Hebrew University of Jerusalem. Daniel's work focuses on characterizing patterns of urban sprawl in Israel and their ecological implications, population-environment interactions as expressed through land use, and Israeli environmental history — and he has been published widely, including in the Jerusalem Report, the Jerusalem Post, Haaretz and the Forward. He also is the co-editor of "Between Ruin and Restoration: Selected Essays in Israeli Environmental History." Daniel completed his bachelor’s degree at the University of California, Davis; his master’s degree at Ben-Gurion University of the Negev; and his PhD at Brown University, where he initiated the Rhode Island Jewish Environmental Alliance as well as the Middle East Environmental Futures Project, bringing together 40 Middle Eastern and North American environmental scholars to develop an innovative, interdisciplinary and policy relevant environmental study for Israelis and Palestinians. Previously, Daniel has taught at WUJS Institute and Hebrew University of Jerusalem and he has served on the academic advisory board for the political campaign of Israel's Green Movement Party. A former member of the board of the directors of the Green Zionist Alliance, Daniel also has served as the GZA representative on the JNF-USA board of trustees. He lives in Haifa with his wife and their three children. "Even though you may think them superfluous in this world, creatures such as flies, bugs and gnats have their allotted task in the scheme of creation, as it says, 'And God saw everything that God had made, and behold, it was very good'."